Recently, I read the novel ‘Connectome’ by the incredible neuroscientist Sebastian Seung. In essence, Seung hypothesizes that ‘You are your connectome’ — i.e, your behaviors and personality are ingrained in the connections between your neurons. He discusses how this connectome is prone to change via the “four R’s” caused by experience — reweighting, reconnection, rewiring, and regeneration. He then goes on to explores the possibility of uncovering the entire human connectome, and the connectome’s role in mapping brain regions, identifying markers for neuropathological diseases, and discovering or designing therapeutics to resolve these problems. Lastly, Seung concludes with a speculation of how the connectome can be used to ‘preserve’ one’s information — i.e, memories and experiences — into a computer, in the form of the electrical interactions and connections between neurons. A deeply ambitious project, Seung’s research can be found at the Seung Lab , and he has also delivered a TED talk on this theory . Currently, he is working towards developing technologies to automate and handle mapping the connectome of the human brain. In all, the novel was a strong, coherent, well-written justification of the significance of the ‘Connectome’. Yet, I was constantly bugged by a few internal questions, which will be discussed later in this article (you can skip to the ‘Questions’ section below to read it directly). Essentially, Seung’s argument is maintained throughout the novel. He not only backs it up with an existing example of the connectome of C. elegans, proving that the connectome can be mapped, he further convinces readers by describing exactly how this process occurs (essentially via an ultramicrotome), and the specific pitfalls limiting our ability to map the human brain (In short: too much data, lack of precise and automated equipment). Moreover, Seung emphasizes the importance of neural connections in going up and down the neural ‘hierarchy’ (i.e, sending signals containing more primitive information to complex thoughts and vice-versa) for recognition, thinking and memory. He further discusses the possible ‘clumping’ of neurons leading one neural region to share information with each other, thus again emphasizing the importance of connectionism. All of these theories point to finding one’s connectome as the answer to realizing exactly how humans think, and how information is transmitted across each other. Finally, his ideas on the role of the connectome in medical treatment and ‘transhumanism’ are intriguing, and render investing in connectomes worthwhile to readers. I was particularly amazed by his ideas regarding using connectionism to find cures, by developing drugs that could perhaps ‘mimic’ the chemoattractants propelling axons towards a certain region, that could promote neuroplasticity. Moreover, the suggestion of possibly simulating the electrical impulses of a connectome to ‘upload the brain’ was fascinating: Hopefully developments do show something similar in the future. Of course, his novel could be more convincing if he discussed how such a simulation may be possible, but perhaps he chose to exclude it if it was too out of scope for readers to follow. However, while reading the novel, I could not help but have certain concerns regarding the theory. Firstly, Seung suggests that one’s connectome will provide information on their memories and behaviour. 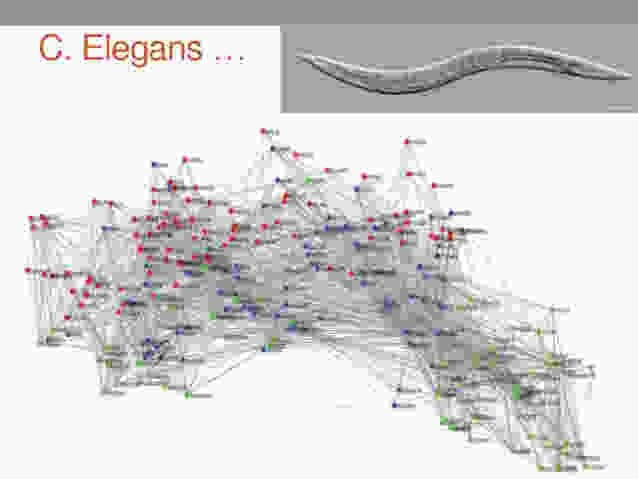 However, this was only weakly supported by stating that only a few of the C. elegans’ behaviors could actually be predicted via its connectome. If the connectome of such a primitive animal could not represent its behaviour, how are we to say that the connectome of the human brain will? Secondly, he talks about the ‘Jennifer Aniston Neuron’ — a single neuron that fired every time a patient recognized Jennifer Aniston. Although he extended that to saying that it could simply be a facial recognition neuron, it is also possible that a certain neuron/group of neurons fires in response to tactile, visual and auditory input, as suggested by Dr. Norman Doidge in The Brain that Changes Itself . This suggests that, even if the human connectome were mapped, it would be impossible to tell whether a neuron/neuron group would actually resemble a specific function, due to the extreme plasticity of the brain. In that case, does this possible multi-functionality of neurons render the entire theory void? Moreover, Seung essentially mentions in his novel that to map a human connectome, the brain must be dead. Thus, even if we were to associate a behaviour with a neuron (group), how are we to do it? My last concern was addressed quite well by Dr. Seung — I was concerned about non-connection-related communication (such as neurotransmitter diffusion), which was acknowledged by him, but at the same time noted that the possibility for the role of such communication to significantly influence behaviour appeared to be rather low. In conclusion, Dr. Seung is an incredible neuroscientist with creative ideas that will hopefully come to action. In all, his novel ‘Connectome’ was inspiring and a unique means of viewing neuroscience. I would definitely recommend this novel, but while reading it do keep in mind that it is almost entirely theoretical so far, and keep an eye out for any concerns that may arise: Questioning theories only make them better.